Our Library, the Seat of Wisdom and the Source of Knowledge sprawling 528.15 sq.mt. is situated in a cozy atmosphere conducive for the pursuit of higher studies. 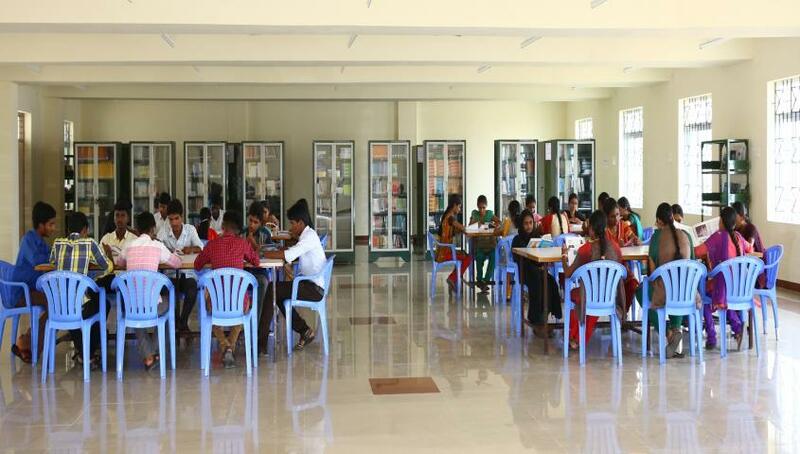 It is equipped with books on various engineering subjects such as Electronics Communication Engineering, Electrical and Electronics Engineering, Mechanical Engineering, Civil Engineering and Computer Science Engineering. Journals – both E-Journals and Print Journals, Magazines and Newspapers etc. are available for enriching the knowledge of the faculty, research scholars and students. OPENING TIME : 10.00 A.M.